For a world to live, Jackie Estacado must die! Jackie Estacado, bearer of the Darkness, saw a chance to alter reality and took it. The consequences of that decision played out in the pages of THE DARKNESS, as Jackie watched his world rot from the inside out while he was powerless to stop the corruption. Now, writer David Hine and artist Stjepan Sejic are putting an end to Jackie Estacado in this landmark event in the mythos of THE DARKNESS with the release of THE DARKNESS: THE DEATH OF JACKIE ESTACADO, a 128-page graphic novel releasing this November. When Jackie chose to alter reality by resurrecting a past love, he provided a pathway for an older, more horrible evil than the Darkness to enter the world. As long as Jackie lives, that evil will strengthen its hold on the world. 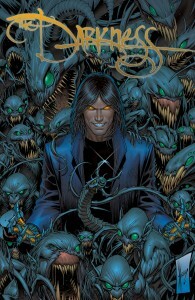 In order for everyone to live, Jackie Estacado must die, and Witchblade-bearer Sara Pezzini, whose own life was irrevocably altered by Jackie’s choice, is his executioner. 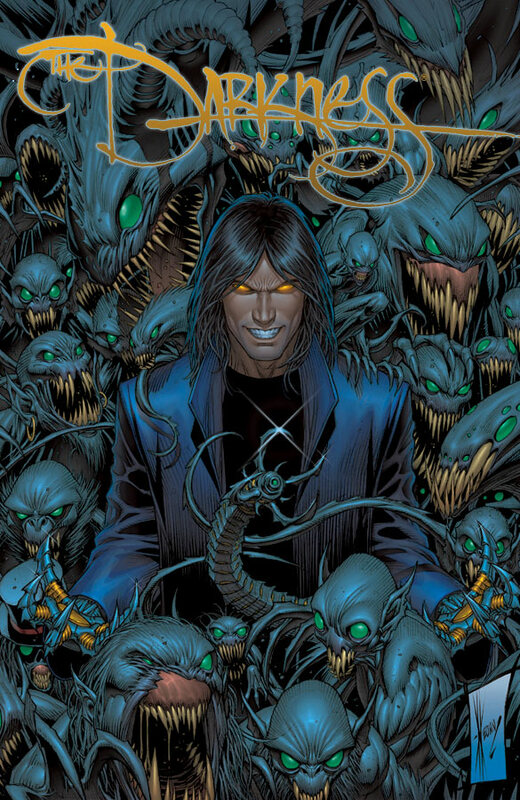 THE DARKNESS: THE DEATH OF JACKIE ESTACADO follows up on recent events in THE DARKNESS, and is essential for anyone curious about where the Top Cow Universe is going to go next. THE DARKNESS: THE DEATH OF JACKIE ESTACADO GN will be released on 12/11 at $9.99 for 128 pages, and can be pre-ordered using Diamond Code SEP130525. This entry was posted in Columns and tagged david hine, harrison rawdin, IMAGE COMICS, newsarama, the darkness, witchblade. Bookmark the permalink. Follow any comments here with the RSS feed for this post. Post a comment or leave a trackback: Trackback URL.